Visiting Lake Como has long been on my travel bucket list. I don’t have to tell you that I love Italy and I’ve always had a romantic view of the lakes district. Since this trip was a birthday present from my husband (it was a milestone birthday…that’s all I’ll say 🙂 ) he decided to make our stay in Bellagio really special by booking us into the Grand Villa Serbelloni. The original villa was constructed in 1850 by a wealthy Milanese family as a holiday villa. 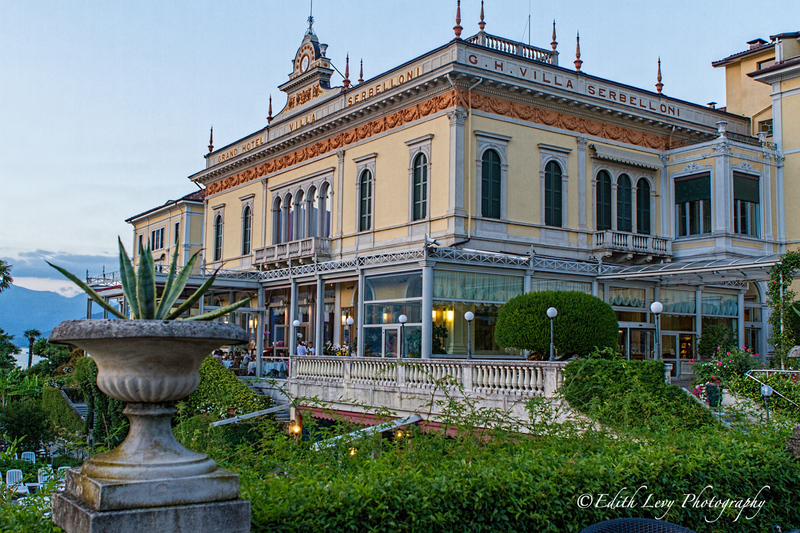 In 1872 the villa was sold and the Grand Villa Serbelloni opened its doors in 1873. The villa which is neo-classic and Art Nouveau style enjoys a prominent location on the promontory which juts halfway out into Lake Como. The villa quickly became a favourite among the elite including European aristocrats, Politicians and Hollywood royalty hosting the likes of Winston Churchill; John F. Kennedy; Mary Pickford; Douglas Fairbanks; Clark Gable and Al Pacino. Today the hotel still has a classy, old world feel to it and as you can image it was a real treat staying here. 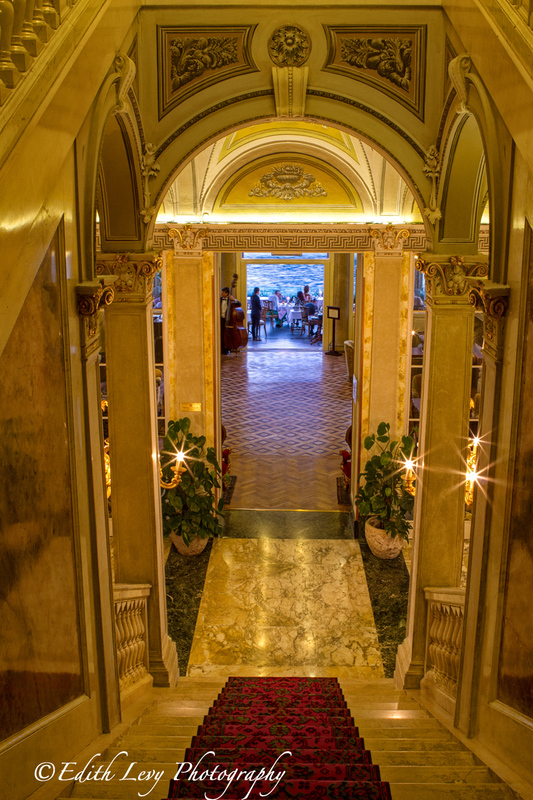 On of the Grand Staircases leading to the main parlour and the Mistral Restaurant. 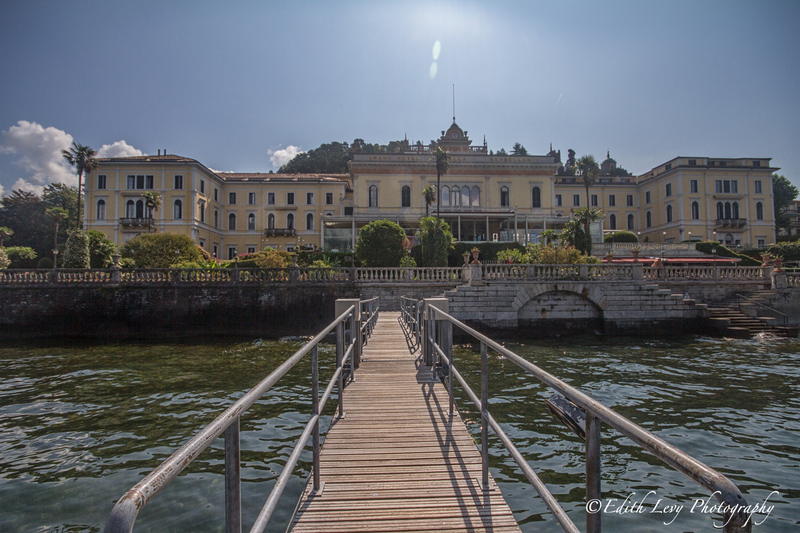 The Grand Villa Serbelloni from the Dock. This entry was posted on August 15, 2014 by edithlevyphotography. 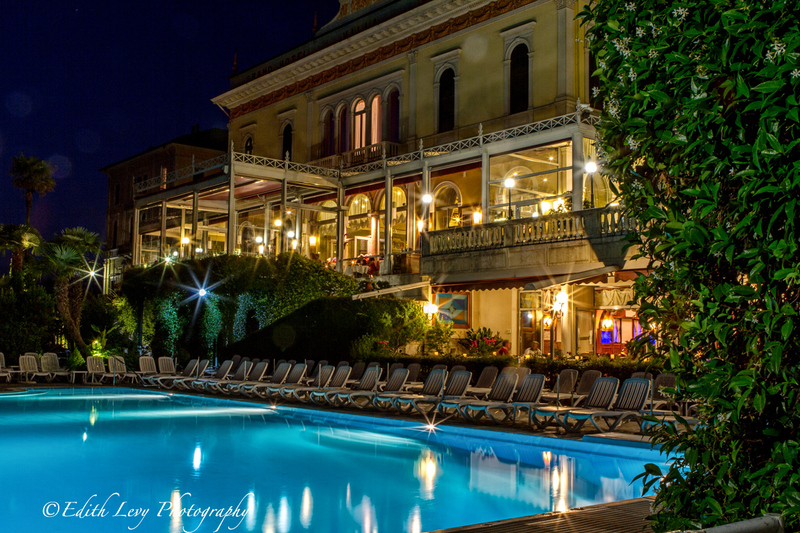 It was filed under Bellagio, Italy, Travel and was tagged with 7D, Bellagio, Canon, grand hotel, hotel, Italy, Lake Como, lake view, travel photography, Villa Serbelloni. Beautiful! What a place to see and you captured it so well. This area of Northern Italy is one of my favorites too. 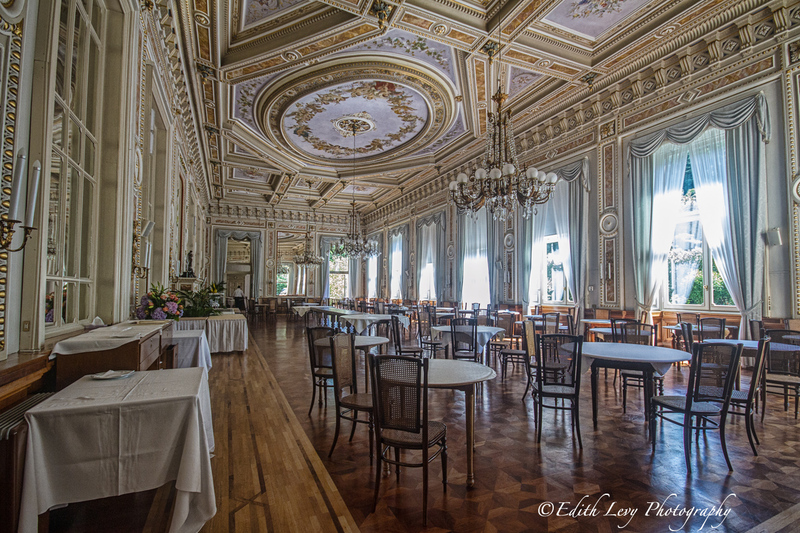 Among other spots there I’ve spent time at Lake Maggiore, where the magic is omnipresent. Your images are wonderful reminders of the grace of the architecture. But it is the natural scenes that scoop through my memory. Hope that you were able to explore the lake district. Thank you so much Nia. Thank you very much Heather. It certainly is and thank you. I think every birthday is a milestone and should be treated as such. Having said that, I doubt I’ll be able to afford such an opulent surprise for my wife on her next milestone! Ah, wll. We must have our dreams. 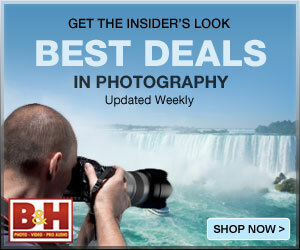 Absolutely stunning images! Thank you very much Emilio. OMG! It’s sooo gorgeous! I can’t believe my eyes. It feel like a dream. Thanks Anne. That’s how I felt. These photographs are wonderful, Edith, and what a beautiful place this is! Thank you so much Lisa. Yes it is an incredible place and I’m already trying to figure out when I’m going to go back. What a stunning place; the architecture is incredible, and your photos are wonderful. Thanks Laurie. I have to admit that breakfast was served in that dining room and I think my mouth did drop open the first morning I walked in there. Beautiful building. Glad You had a holiday! The second photo, the one of the dining room, is spectacular. Great depth of space. Thank you so much. I appreciate it. Thanks Andy. I am very lucky. This hotel isn’t the usual type of place we stay in so it was a real treat and a very special birthday celebration.